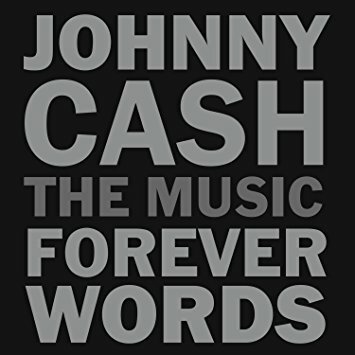 Last night BOON attended the launch of Johnny Cash, Forever Words, the latest offering from the Cash family is due out in the UK on April 6th. The project takes some of Johnny’s letters, poems and unfinished song lyrics which are set to music by various artists including Willie Nelson & Kris Kristofferson, Rosanne Cash, Elvis Costello, John Mellencamp and Chris Cornell. Most of the fifteen tracks on the album were recorded in the Cash family studio cabin in Tennessee, where Johnny recorded the wonderful American Recordings series towards the end of his life. Several of the artists, including Brad Paisley and Elvis Costello, simultaneously recorded their tracks on being handed the piece of paper with Johnny’s lyrics on. This album is a must for all Johnny cash fans. Incredible lyrics beautifully set to music by musical friends and admiring artists. You sense the spirit of Johnny in the songs and this adds to incredible musical legacy of the Man in Black.